This house in Boat of Garten is one of a number in the village made of old railway sleepers or on railway sleeper foundations. These so-called ‘sleeper buildings’ grew up around the railways, with a number still surviving in Badenoch and Strathspey. The sleeper walls were frequently covered with chicken wire and then rendered, with further weatherproofing achieved using corrugated iron sheeting. In a few cases insulation was even provided by clinker from the old engine shed! At some properties in Boat of Garten the sleepers were used to construct wash houses in the grounds of larger properties, and in some cases these were later converted to dwellings, sometimes for the family to stay in during the summer when the house was let to visitors. The railway came to the area in 1863, so all of the buildings date after that time, with most dating to the late 19th and early 20th centuries. The sleepers were originally made from a variety of woods, selected because of their particular qualities. Some of these were imported, with new stocks usually arriving in May or June, which was therefore the best time to buy. The heavier timbers were considered the best as the rails could be fastened directly into them. With softer woods, base plates were required and the marks of these base plates are clearly visible on some old sleepers. Most of the information about these buildings came from long term residents, showing the real need to record people’s memories about their communities. The infromation here comes from research by Jackie Wilson for the Community Timelines course held in Boat of Garten. 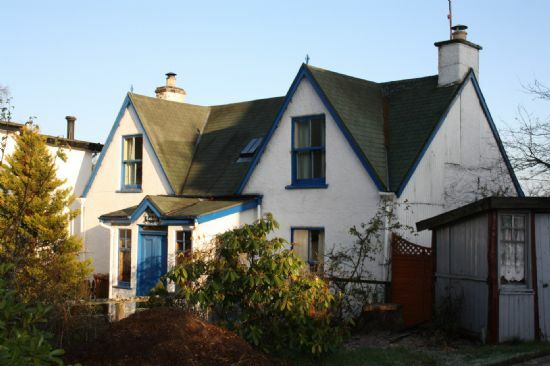 Her findings resulted in 12 previously unrecorded sleeper buildings in the village, which will shortly be added to the HER along with her report. Kerr, David 1986. Railway Sleeper Buildings. 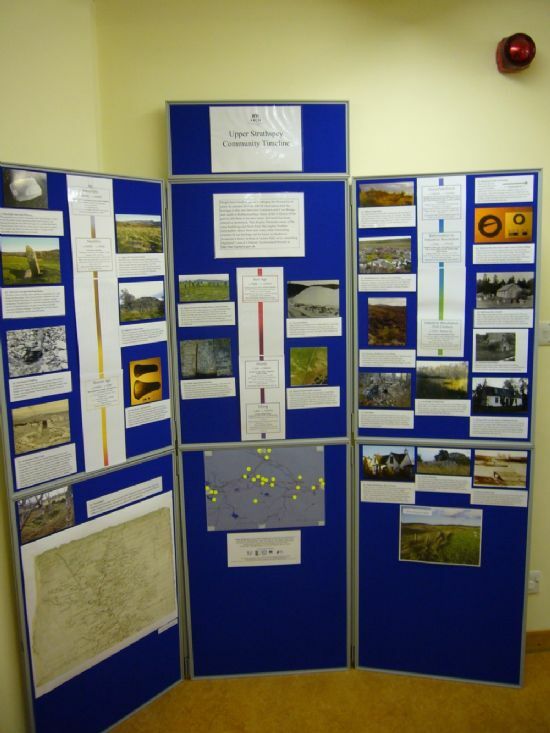 The sleeper buildings featured in the Upper Strathspey Community Timeline display currently at Boat of Garten Community Hall until 14th February (accessible when the hall is open, and manned by members of the class on Tuesdays, 11am-2pm). 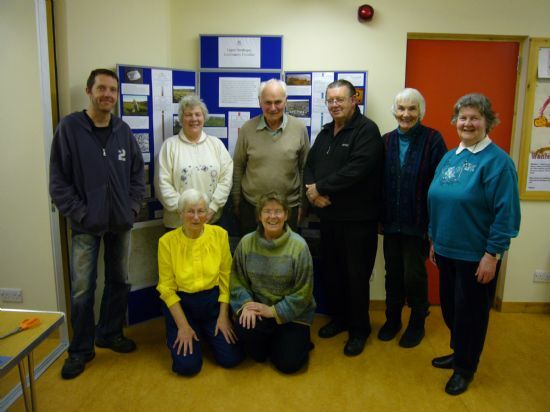 From 15th February through 2nd March it will then move to Aviemore Library. Binders with resources compiled by participants on the course are at the Boat of Garten Hall and Aviemore Library.